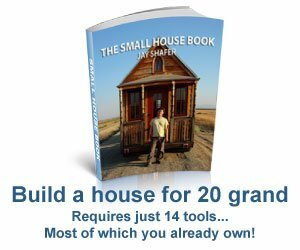 Build a tiny house for less than $20,000, with only a small selection of tools, and live mortgage free. Tiny houses have been an interest of mine for quite a few years now. We lived in one for almost six years, with kids and cats, and while we didn’t build it, we certainly got our money’s worth from it – and had a great adventure as well. I like them because they not only make financial sense (can be built on a cash basis, so you can own a small home without taking on a large mortgage), but they also address the issue of energy and resource conservation (small houses can be very efficient to light and heat, and they can be built with much less raw material). They can also be mobile, by building them right onto a frame with a set of wheels, which means you’re free to move any time you please – to the other side of the yard or to the other side of the country. When I first started looking for more information about building and living in a small house, I found plenty of books and pamphlets from the DIY scene in the 70s (with lots of creative building techniques using whatever materials were at hand), but none of them very much of what I felt was really relevant to me, which was living in a city or suburban area in a DIY tiny house. But then I read Jay Shafer’s The Small House Book, and realized that here was a guy who had the answers: He not only knew how to build these homes, but he knew what elements to include during the design process, due to his experience living in and transporting them, and he knew how to work around the issues which would normally prohibit tiny houses in residential areas. Jay starts out by sharing his journey of living in and building tiny houses, from a remodeled Airstream trailer to a succession of small homes on wheels, and finally to his current tiny house, comprising just 89 square feet. The experiences he shares in this part of the book highlight some of the issues he addresses later in the book – the elements which are desirable or necessary for a comfortable living space. The Small House Book then takes us through some of the economics of buying an average big house with a big mortgage vs. building a small house without incurring debt (often for well under $20,000), and lays out some ideas on how tiny houses can help to not only cultivate a sense of place and community, but to also better use space in our cities. Shafer’s arguments are probably akin to preaching to the choir if you’re already leaning toward a tiny house, but I thought they also helped to place small houses in a larger context – our communities and our environment. 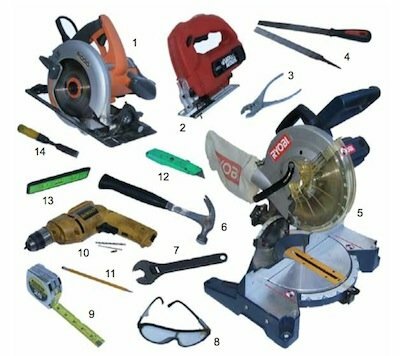 Step-by-step instructions for constructing a basic small house on wheels follow, with plenty of pictures and tips on materials and construction. If you’ve never built anything before, these instructions won’t turn you into a master builder, as they aren’t detailed enough for that. 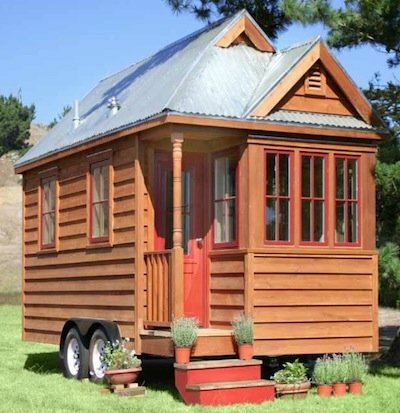 But if you’re not afraid to jump in and start planning your tiny house, then the basics Shafer shares will have you well on your way. I found that the next part of The Small House Book was easily the most absorbing for me, and the author’s thoughts on form and aesthetics in tiny house design blended easily into his section on the particulars of actually designing one. From the 7 organizing principles of tiny house design to the 42 design elements he recommends, following these guidelines will probably pay for the book many times over, through saving time, materials, and frustration with a badly designed space. The Small House Book also includes floor plans and pictures for 22 tiny houses, more than enough to get your imagination working on your own design. As a former Arcetectual Draftsman, from residential,commercial to high rise hotels, which is kind of funny, because I work in one that I drew 20 years ago, for a Architect here in Las Vegas, Holmer Rissman. He tought me a lot about Architecture, but I must say, your idea of designing small houses on wheels has gave me the inspiration to build my own small house, and possibly open my own company here in Las Vegas. I am looking forward to reading, and seeing your ideas on small houses.